Create "live", T.V. type shows. Complete with professional sound reinforcement, curtained backdrop, stage lighting and signage, this show feels direct from Hollywood. It's perfect for private parties, corporate events, schools, colleges, churches, or any special event. 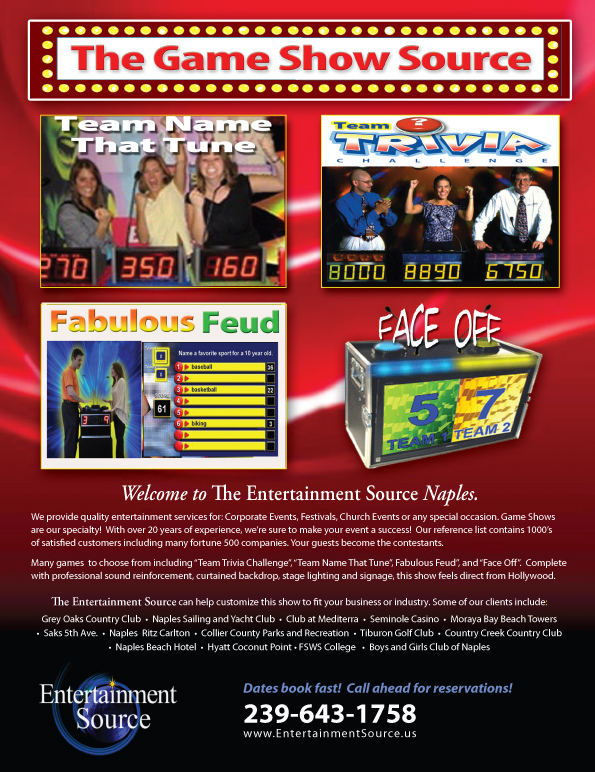 The Entertainment Source can help customize this show to fit your business or industry. 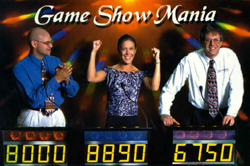 Game Show Mania makes it possible to create live T.V. type shows with your guests being the contestants! Complete with professional sound reinforcement, curtained backdrop, stage lighting and signage, this show feels direct from Hollywood. It's perfect for private parties, corporate events, bars and nightclubs. The Entertainment Source can help customize this show to fit your buisiness or insustry. The show begins with 4 contestants chosen to compete as teams of two or individually. Questions are read along with audio clues. The first contestant to buzz in with the correct answer wins the point. 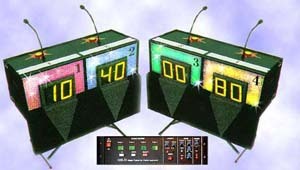 Background or dance music can be played between rounds keeping the enegy level high. 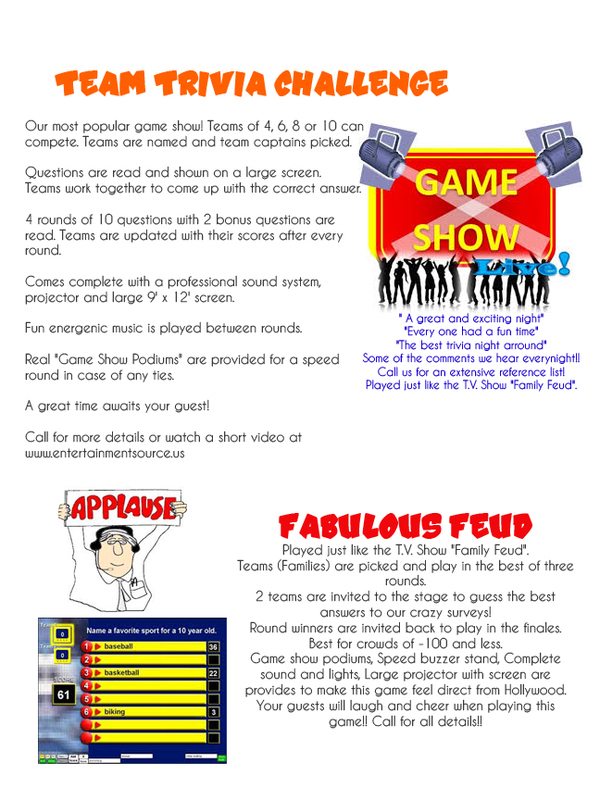 Many different games can be played to help motivate, team build and encourage audience participation.